All About Arthropods had the most liked content! 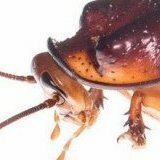 Keeping and breeding a variety of arthropods, photographing my arthropods, creating posts on my blog, watching (basketball and baseball) and playing sports (baseball, basketball, and Frisbee). 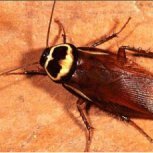 I have always been interested in "bugs", but only really started to dig into all the info I could find on them when I was about 11 years old. In 2014, I got my first pet invertebrates, which were two female ghost mantids. After owning them, I realized that this was an extraordinarily awesome hobby and one I never wanted to leave! I continued to keep mantids for some time. Thirteen of them eventually made their way into my care and the result was numerous odd deaths via mismolts, bacterial/fungal infections, etc. I decided I would step away from mantids and try out keeping some other kinds of arthropods in the wake of these tragedies. In July of 2015, I purchased my first non-mantis pet insect, which was a large, male Gromphadorhina oblongonota nymph. He lived a long life and has since passed on, but not without leaving his mark as the individual that lit the flame to my now raging fire for arthropod keeping in its entirety! In current times, I have the immense pleasure of keeping and breeding a wide array of these most astounding animals on earth while documenting it all on my blog.